Fishery managers from Western and Central Pacific Ocean states which collectively produce over half of the world’s tuna come together to further understanding of tuna management best practices. The Common Oceans ABNJ Tuna Project workshop series is back in the Western and Central Pacific Ocean (WCPO) and on track to provide over 300 fishery experts with resources to improve management of their tuna fisheries. The last workshop for members from the Western Central Pacific Fisheries Commission (WCFPC), held in Bali, Indonesia in August, helped 40 participants better understand the precautionary approach to tuna management through the use of management strategy evaluation (MSE) to guide the adoption of harvest strategies. With the second workshop in Nadi, over 80 people involved in WCPO tuna have now received tools to better manage their respective fisheries. In 2016 alone, more than 2,600,000 tonnes of the primary commercial tuna species—skipjack, yellowfin, albacore and bigeye—were landed in the WCPO region. By volume, that means over 50% of the world’s tuna is managed by representatives of WCFPC member states. "Harvest strategies can be used to ensure fishers catch significant volumes of tuna, but in a way which doesn’t overfish the stock,” said Feleti Teo, Executive Director of the WCPFC. “Our mandate at the WCPFC is to maintain sustainable use of tuna resources through effective management. Trainings such as this workshop are a good way to ensure fisheries managers have the acumen and tools to implement." Dr. Graham Pilling of the Oceanic Fisheries Programme at the Pacific Community (SPC) added, "As members continue to develop the harvest strategy approach for their fisheries and stocks, this workshop will enhance their engagement with the process, and enable them to provide the critical inputs necessary for its implementation." 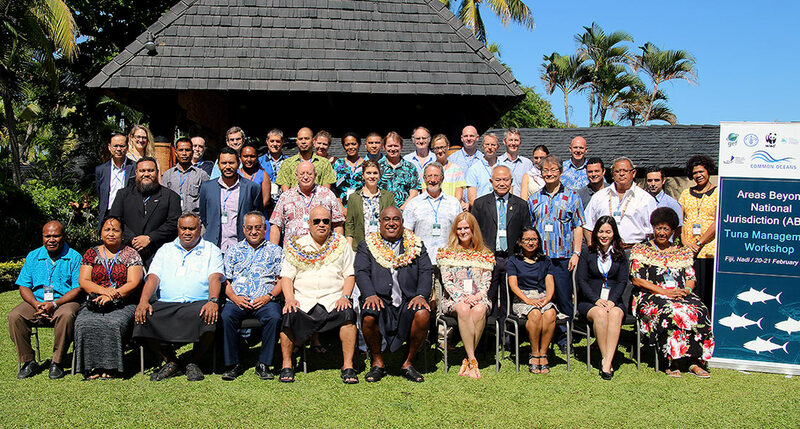 The Nadi workshop, designed by Ocean Outcomes for the Common Oceans ABNJ Tuna Project and implementing partner World Wide Fund for Nature (WWF), is number seven in a series of eight. To date, over 280 developing state representatives have received training as part of the workshop series. An eighth and final workshop will be held later this year in Latin America. The Common Oceans ABNJ Tuna Project is funded by Global Environment Facility (GEF) and implemented by UN-FAO. Additional funding for this workshop was provided by the SPC with support from the New Zealand Aid Programme. The project harnesses the efforts of a large and diverse array of partners including the five tuna regional fishery management organizations (RFMOs), governments, intergovernmental organizations, non-governmental organizations and private sector, with the aim of achieving responsible, efficient and sustainable tuna production and biodiversity conservation in the areas beyond national jurisdiction. Previous Post O2 and GGGI Seafood Co-Lab Proposal - Voting is Open!